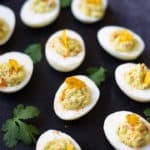 Looking for vegetarian recipes to make in your Instant Pot? Here is the BEST collection of 29 Instant Pot Indian Vegetarian Recipes from the best Indian food blogs! 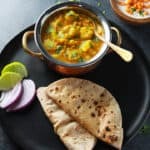 You can find a variety of vegetarian curries, lentils, beans and rice recipes from all over India. With the Instant Pot, cooking Indian food at home is not a complex task anymore. As I said in my 23 Best Indian Food Recipes roundup, Instant Pot has demystified Indian cuisine for people worldwide. 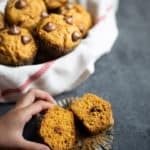 Many readers asked for the best vegetarian and vegan recipes that they could use for meal planning. 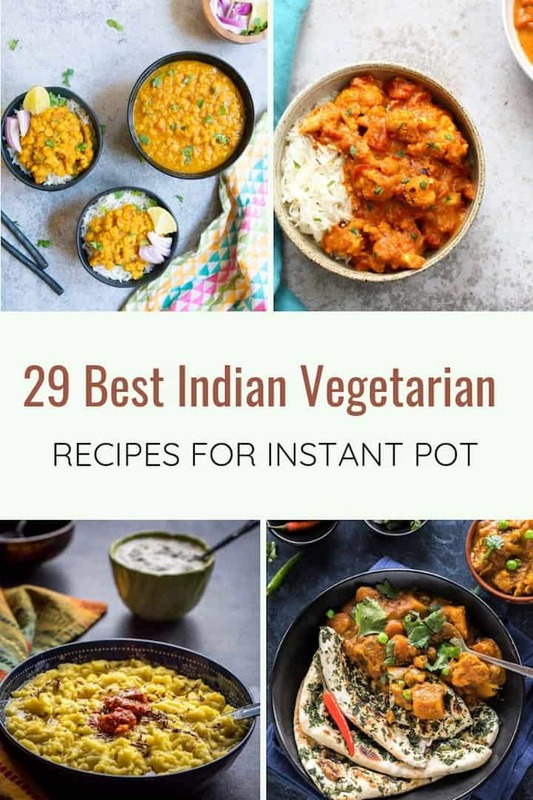 So I am sharing this roundup with 29 Vegetarian Instant Pot recipes from the best blogs. I have also started a Monthly Instant Pot Vegetarian Meal Plan. Do check it out! 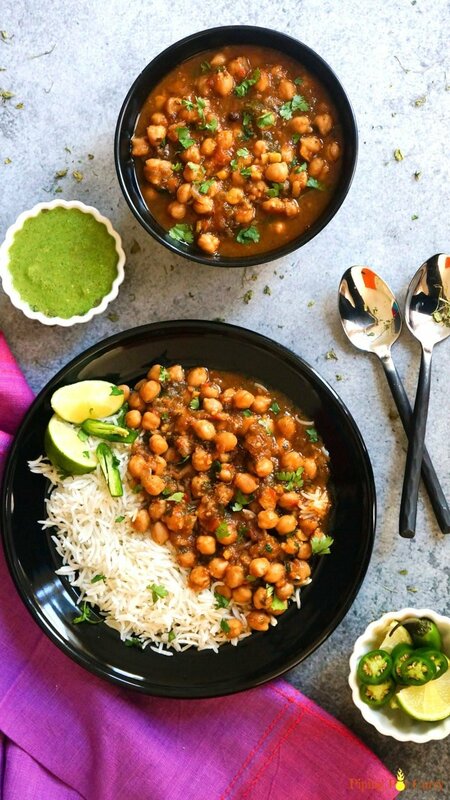 Chana masala or Chickpea Curry made in instant pot is a healthy and hassle free dinner. 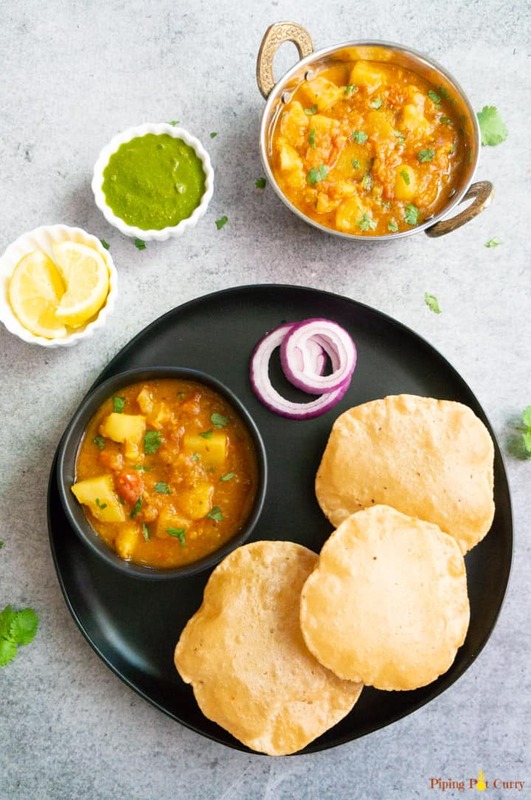 Also called as Chole, this dish is high in protein and fiber, which mades it a healthy satisfying dinner. A North Indian favorite curry made with baby potatoes sautéed in onion and tomato sauce. Dum Aloo goes well with hot butter naan, roti or paratha. It can be easily made in a pressure cooker. Paneer Butter Masala is a favorite dish of vegetarians for any party or get-together. 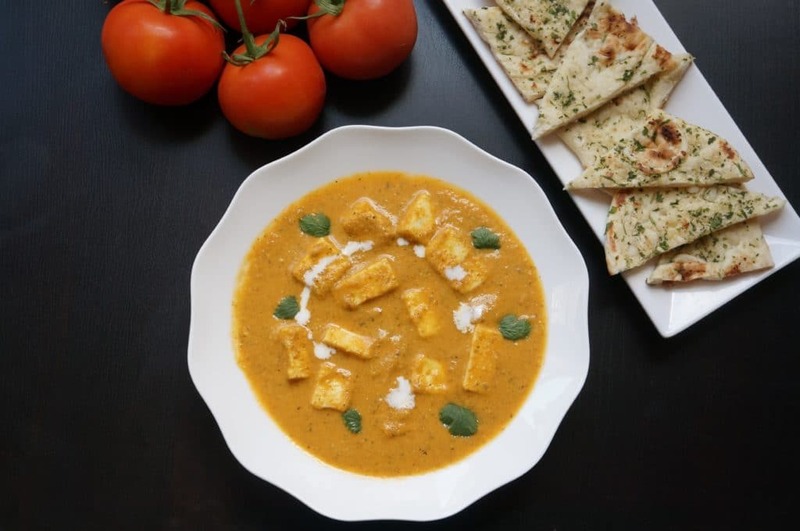 It is also known as Paneer Makhani and is extremely easy to make in the instant pot. It has chunks of paneer cottage cheese cooked in mild onion tomato gravy. 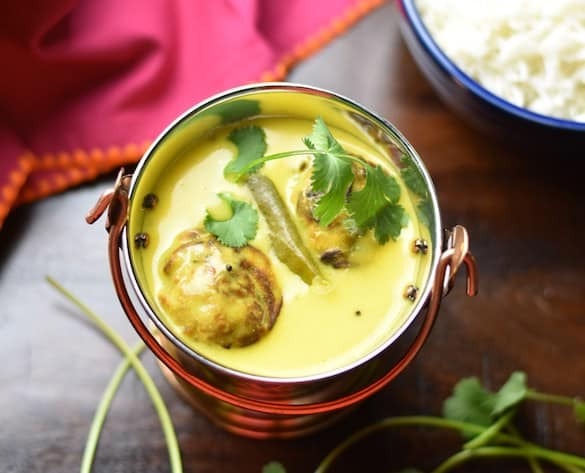 A dish with creamy curry and right amount of spices, this is a favorite for vegetarians. 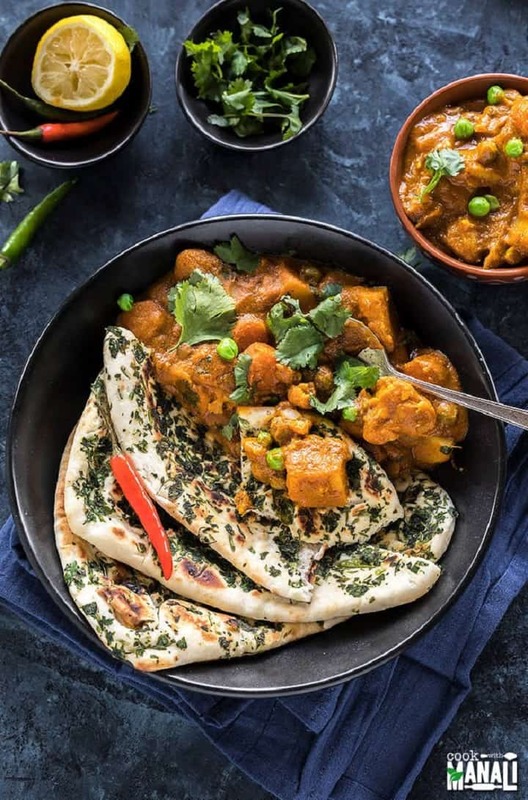 This vegan & gluten free curry pairs perfectly with naan or rice. 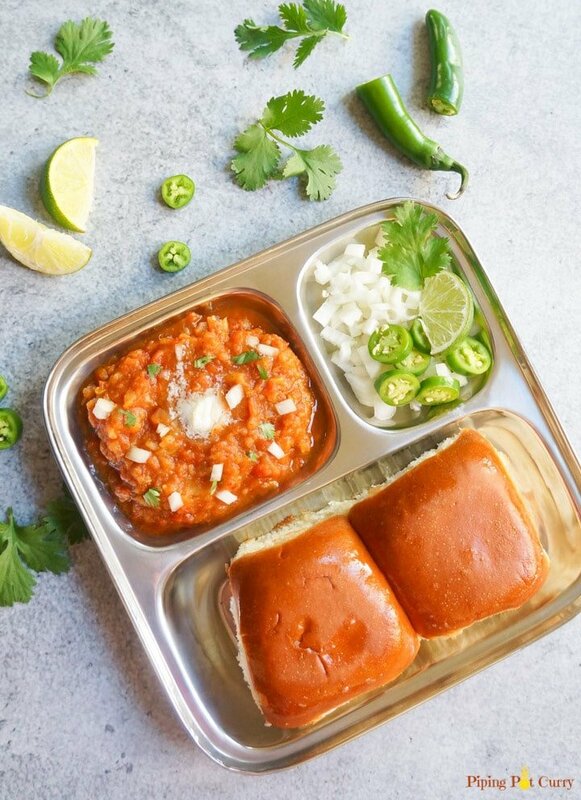 A favourite Indian street food, Pav Bhaji is made with potatoes and vegetables cooked in a tomato base, and enjoyed with pav or dinner rolls. This one-pot version of Pav Bhaji made in the Instant Pot has made it a popular weeknight dinner for many. 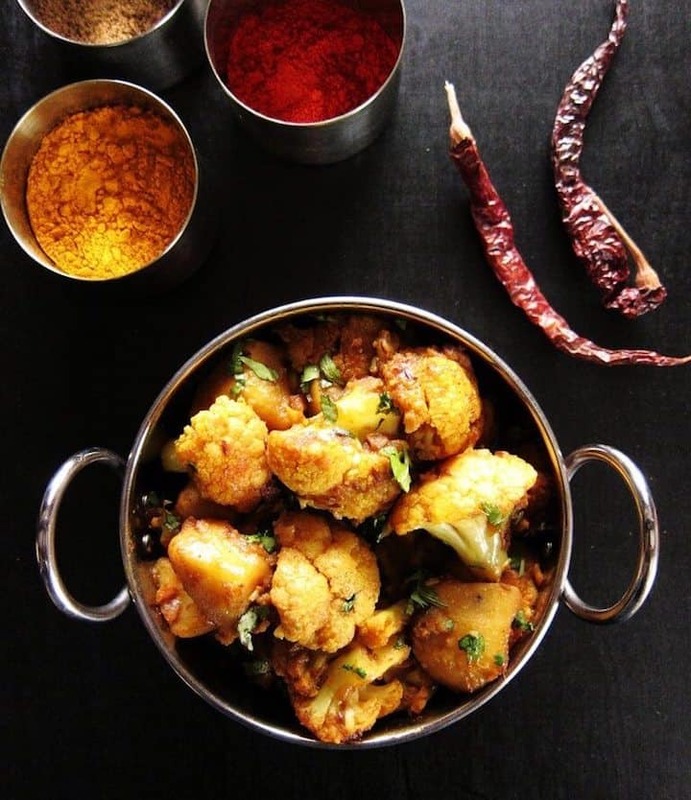 Instant Pot Aloo Gobi makes a wonderful vegetarian main dish or side dish for an Indian-themed meal. 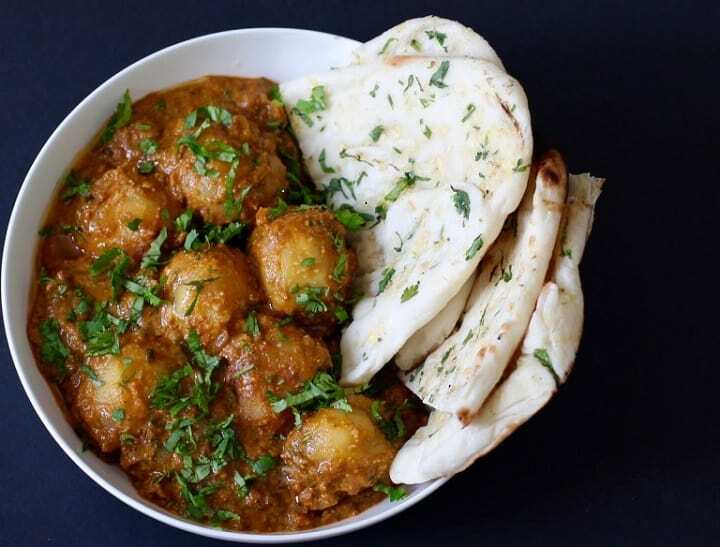 This Indian Cauliflower with Potatoes recipe is quick and easy to make in the pressure cooker. 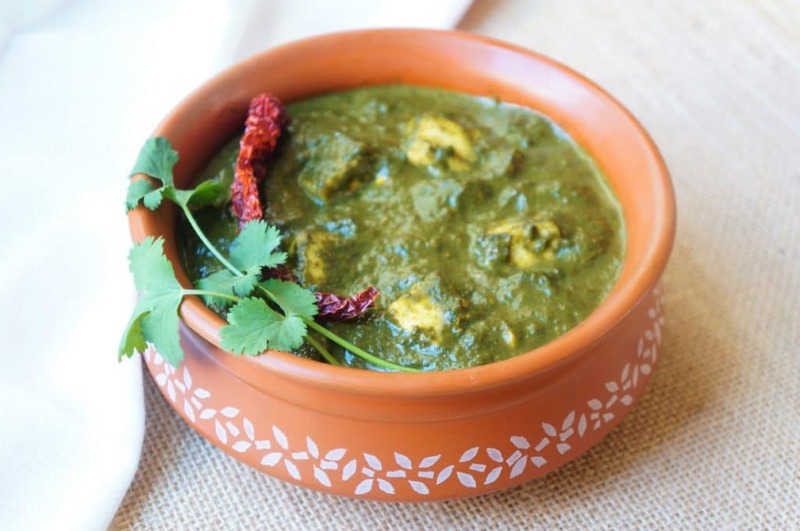 Palak Paneer, also called Saag, is a popular dish made with Spinach and Cottage Cheese. 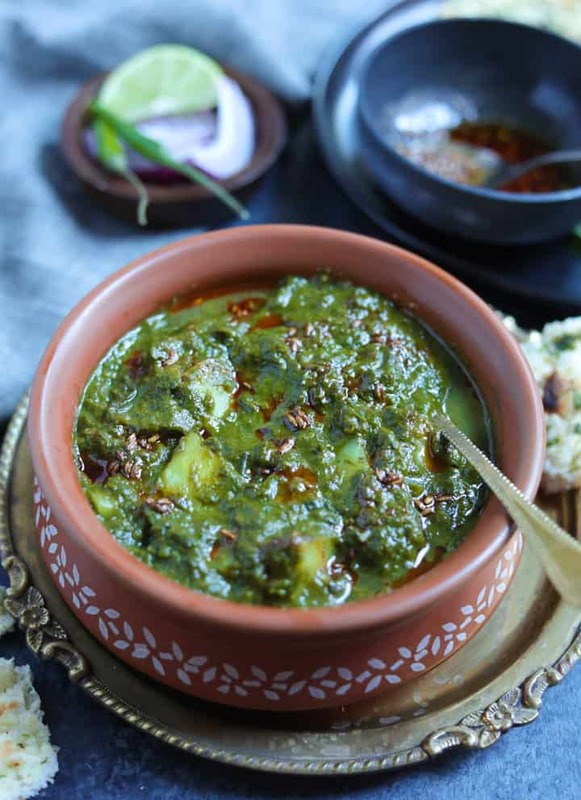 There is another popular North Indian dish, Mustard Greens Saag, which is very similar, however it is made with both Mustard Greens and Spinach. 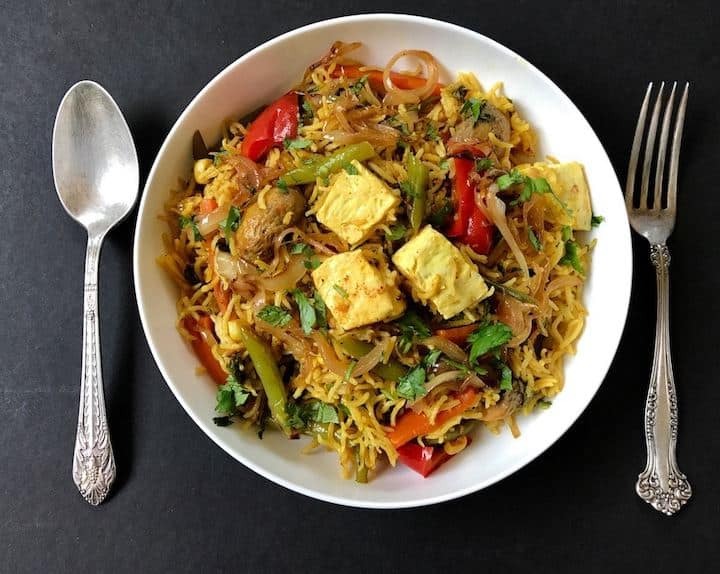 If you want to make this dish vegan, check out the Palak Tofu recipe. 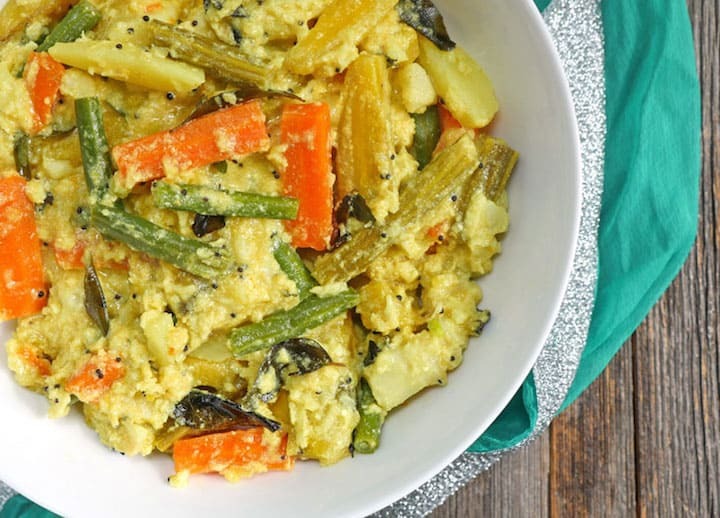 Avial a delicious South Indian vegetable curry cooked in coconut oil and flavored with aromatic curry leaves. All of the vegetables are coated in a sauce made with grated coconut and yogurt. My Heart Beets shows you how to make this dish in the instant pot. 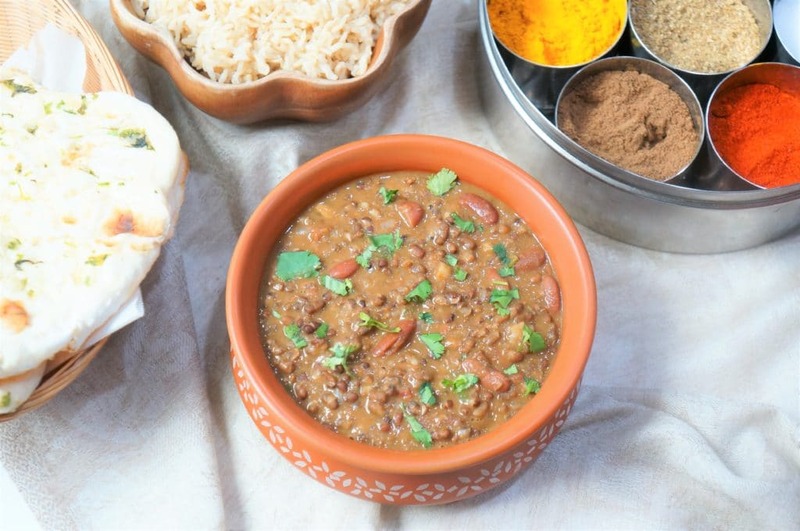 This is one of the most popular dal ordered at restaurants – Dal Makhani. Interestingly this dal is very similar to the Madras Lentils you might have tasted at Costco. Here you will see how to make the lentils along with pot-in-pot brown rice, for a complete meal in one go. 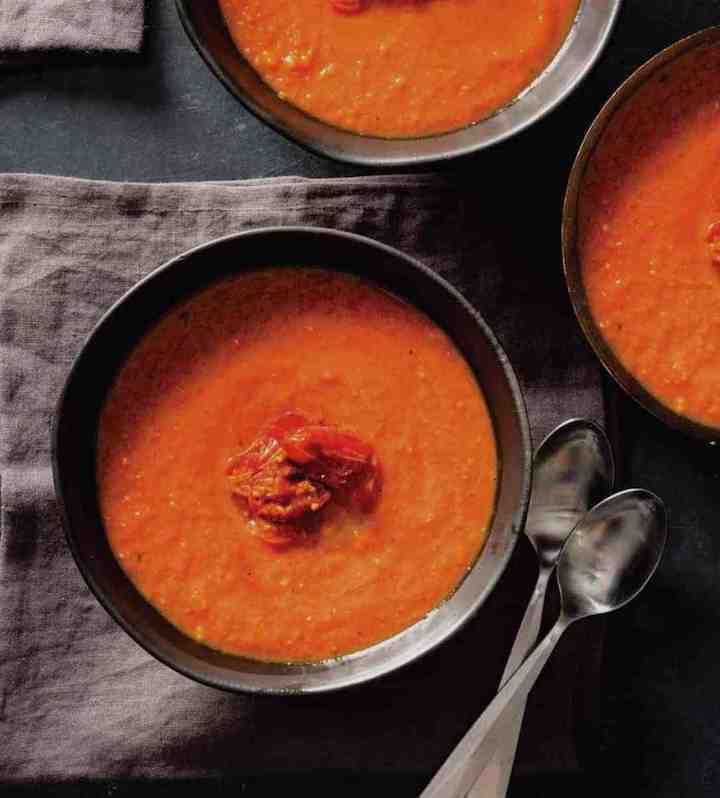 This warming, comforting, spicy, tasty Pressure Cooker Tomato Coconut soup sounds wonderful. 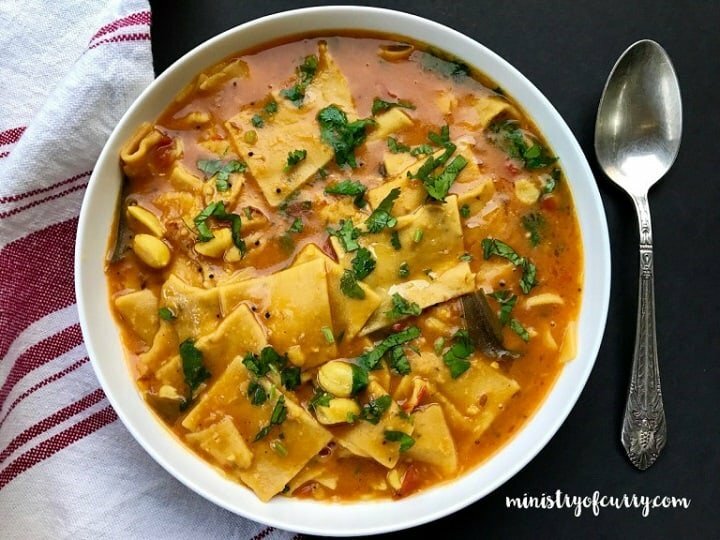 This soup will take you to authentic flavors from the state of Maharashtra in India. Spinach Dal is the perfect example of making healthy lentils even healthier by adding spinach. 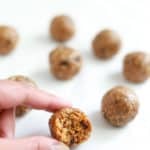 This vegan and gluten free dish can be served with rice or as soup. 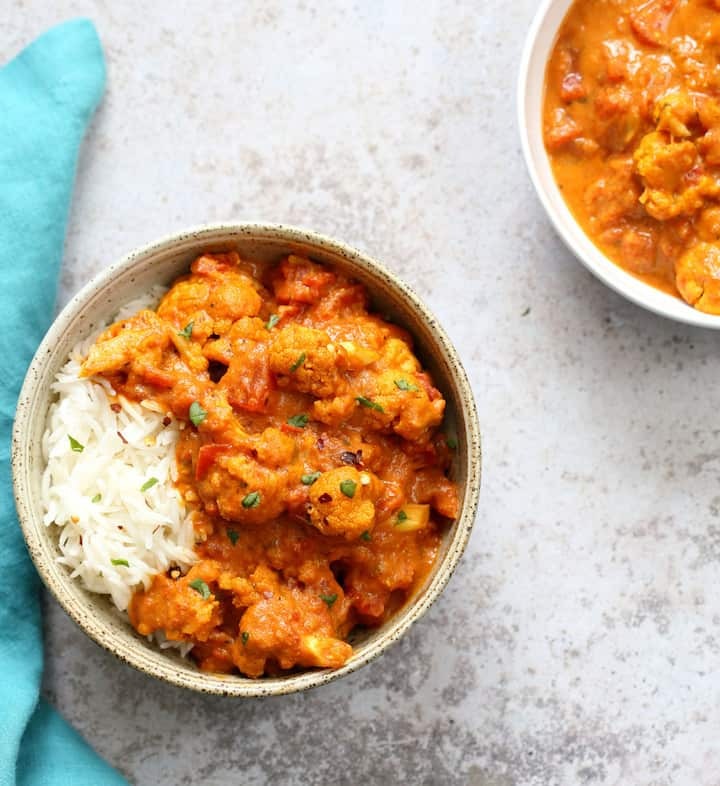 Vegan Richa shows how to make a delicious tikka masala sauce and then cauliflower tikka masala with it. This is a great vegan dish for a weeknight dinner. A classic Indian dish made with flavourful and aromatic basmati rice, along with whole spices and garam masala. Lots of veggies and paneer make this a complete meal, which pairs well with yogurt or raita. An easy and comforting Potato Curry made in a tomato gravy in the Instant Pot. 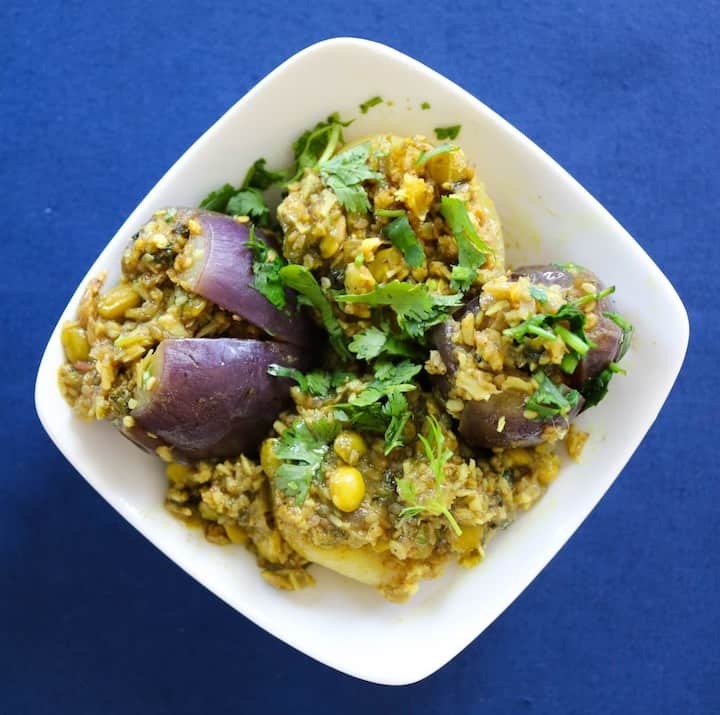 This North Indian Potato Curry is also known as Aloo Rasedar. This vegan and gluten free potato curry is great for quick weeknight dinners. 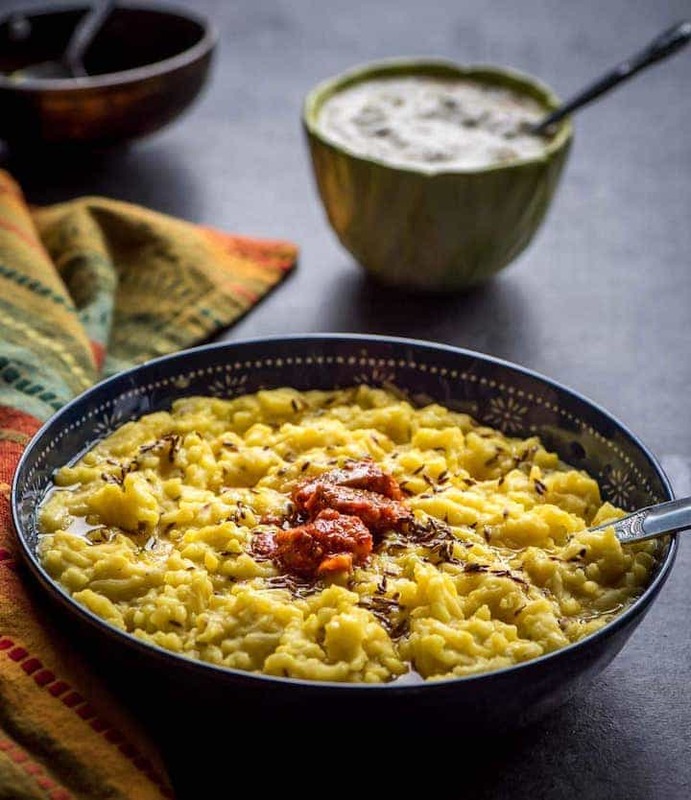 Punjabi Kadhi Chawal, a yogurt chickpea soup served with rice, is an all-time favorite comfort food in many North Indian homes. 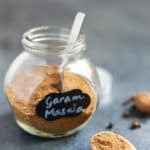 Spice Cravings shows you how to make it in the Instant Pot. 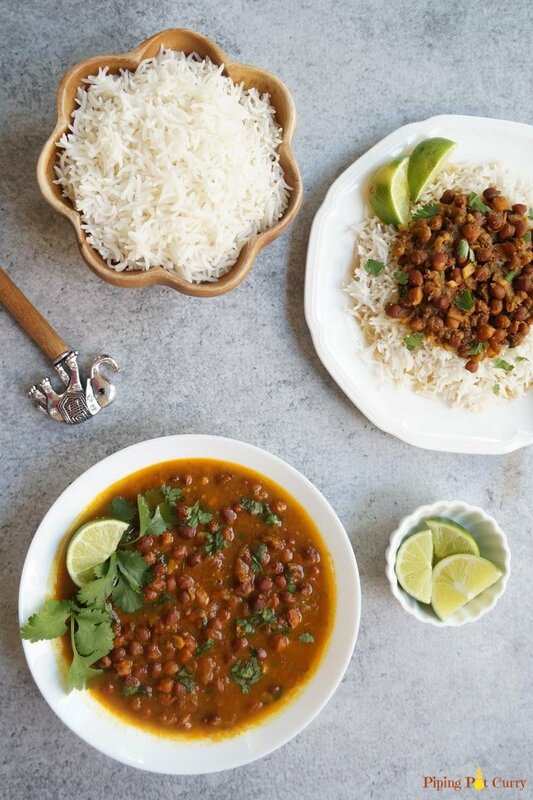 Kala chana is a mildly spiced black chickpeas curry made with lots of flavorful spices. Kala chana has an excellent amount of protein, and is a great dish for vegetarians to enjoy with rice! Saag Aloo is a popular North Indian dish made with winter greens / mustard leaves. Make this dish with superfood kale leaves in the Instant Pot for a quick and easy dinner. Here is a flavorful, tangy and crunchy Lemon Rice from South India. 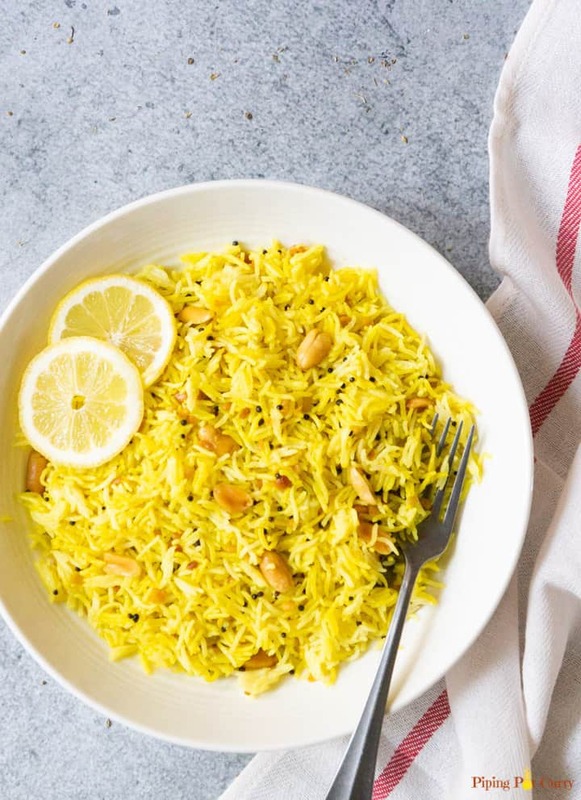 Aromatic Basmati Rice flavored with lemon juice, mustard seeds, ginger and topped with roasted peanuts. It takes less than 30 minutes to make this delicious rice in your instant pot. 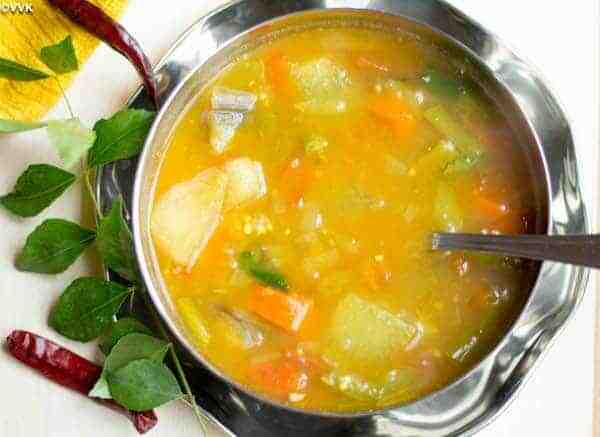 This is the most popular South Indian dish, Mixed Vegetable Sambar. It is made in the traditional style from the state of Tamil Nadu in India. Enjoy with idli, dosa or rice. 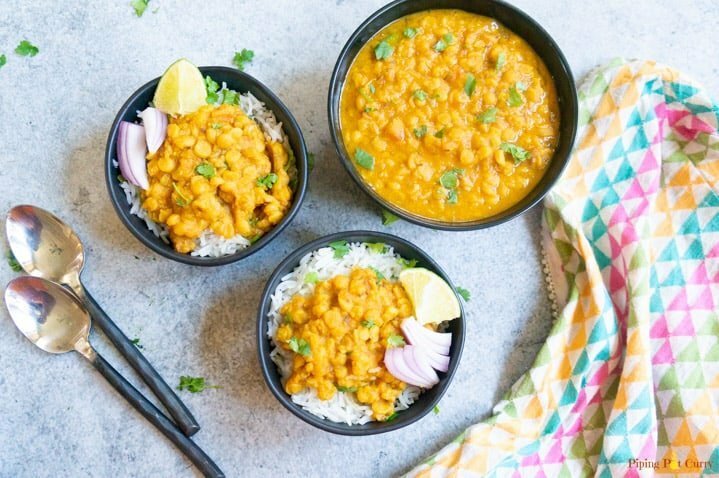 Easy & Delicious Chana Dal made in the Instant Pot. Split Chickpeas are cooked with ginger, garlic, onion, tomato and flavorful spices, to make a comforting soup. 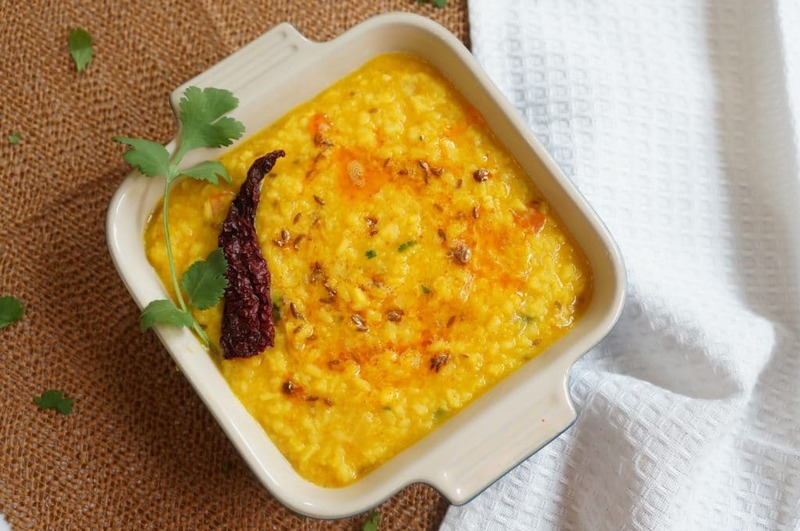 A wholesome and nutritious meal, Moong dal khichdi is made from rice and moong dal. It is comfort food at its best. This one-pot, 5-ingredient complete meal is easy on your stomach and is perfect for all ages. 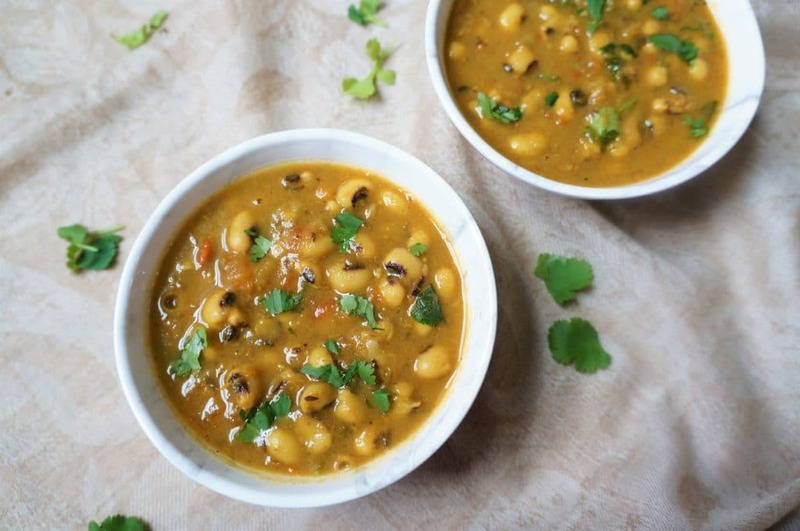 Black Eyed Peas Curry or Lobhia Masala, a popular dish in North India, is made in an onion-tomato gravy, along with lots of ginger, garlic and aromatic spices. It is perfect to enjoy with some steaming basmati rice and parathas. 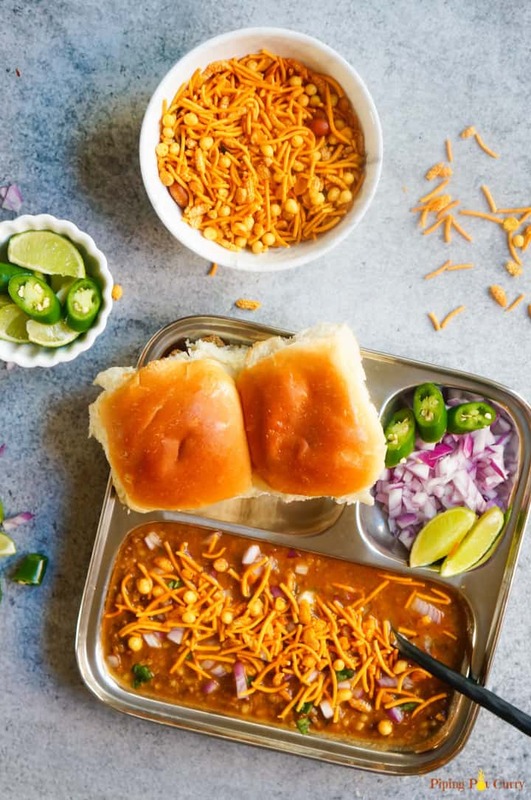 A delicious Maharashtrain breakfast, Misal Pav is a spicy sprouts curry made in the instant pot. Misal Pav is a wholesome meal, that can be enjoyed as a nutritious breakfast or brunch. A popular dish from the states of Gujarat and Maharashtra, Dal Dhokli. Savory whole wheat noodles are cooked in sweet, spicy and tangy lentil stew to make an ultimate comforting meal! 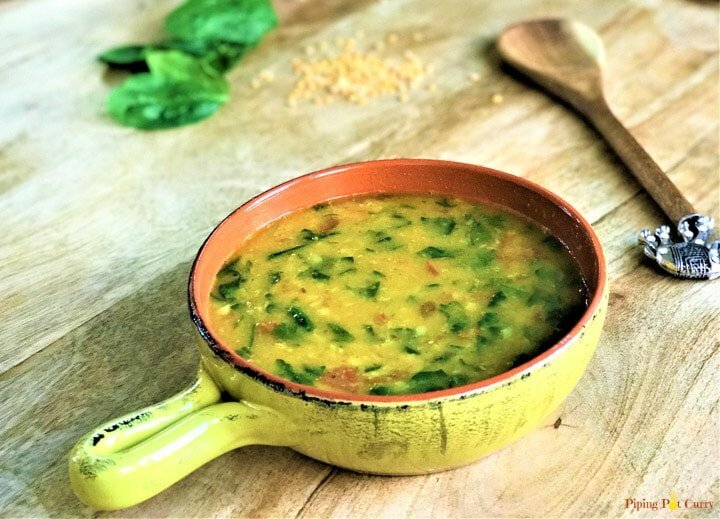 Moong Dal Tadka (Split Yellow Lentil Soup) is a popular dal similar to Toor Dal Fry that is used for everyday cooking in India. It is a quick, easy and low-calorie nutritious lentil soup. A popular dish of stuffed baby eggplants from the state of Gujarat, called Ravaiya. This flavorful and nutritious dish is made with tomatoes, baby eggplant and lots of flavorful spices. 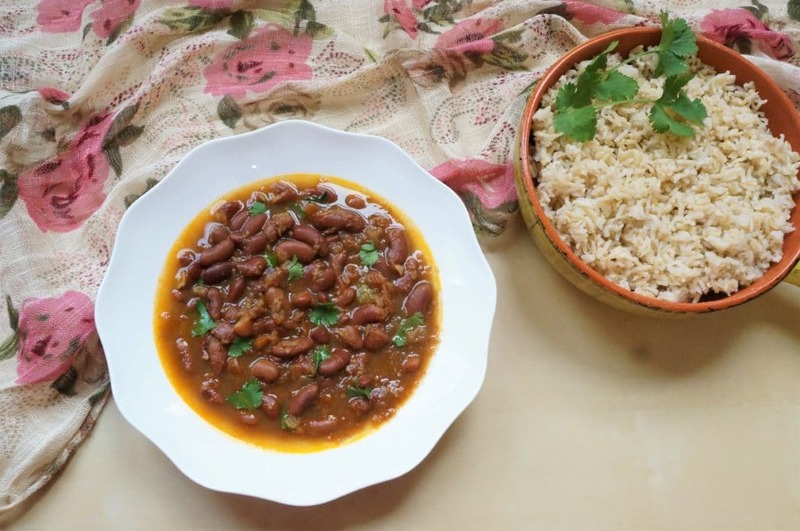 Rajma Masala or Vegan Red Kidney Beans Curry is one of the most loved Punjabi dishes. It is a great comfort food enjoyed with rice or roti. Here you will find how to make Rajma in Instant Pot along with pot-in-pot Brown Rice for a complete meal. 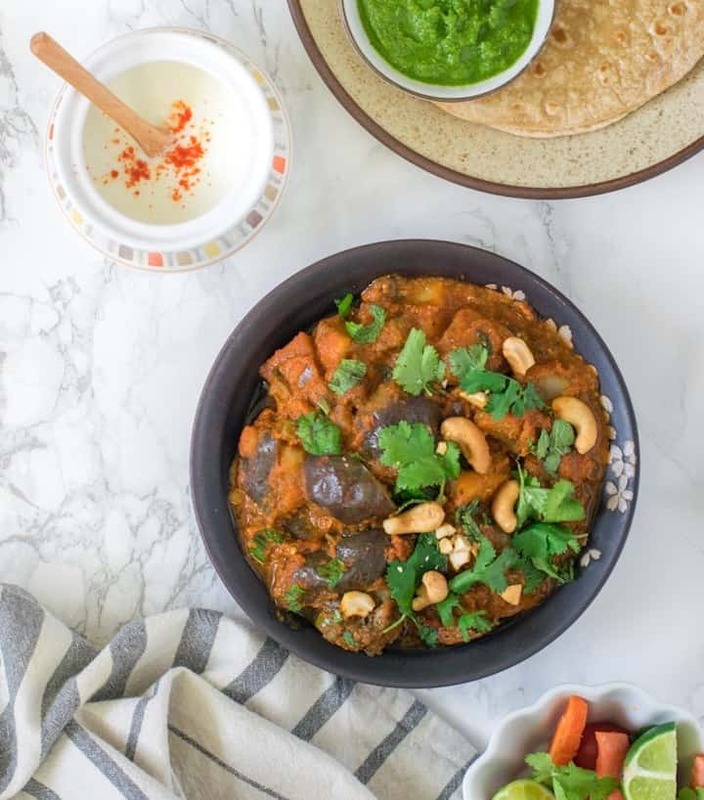 This Instant Pot Aloo Baingan Masala / Potato Eggplant curry is a simple flavorful curry. It can be paired with a side of roti/ naan or steamed rice to have a delicious meal on the table in under 30 minutes. 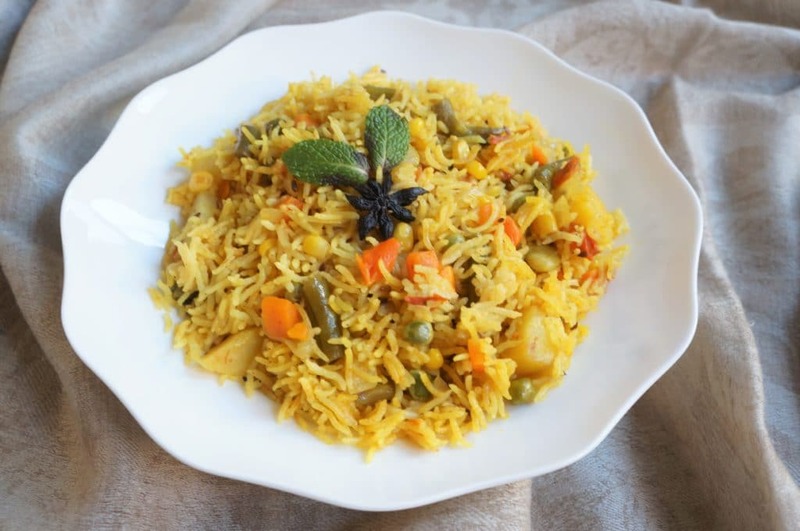 Vegetable Rice Pilaf or Pulao is an easy one pot rice dish mixed with a variety of vegetables and mildly flavored with various spices. This is a one pot dish super quick and easy to make in the instant pot. 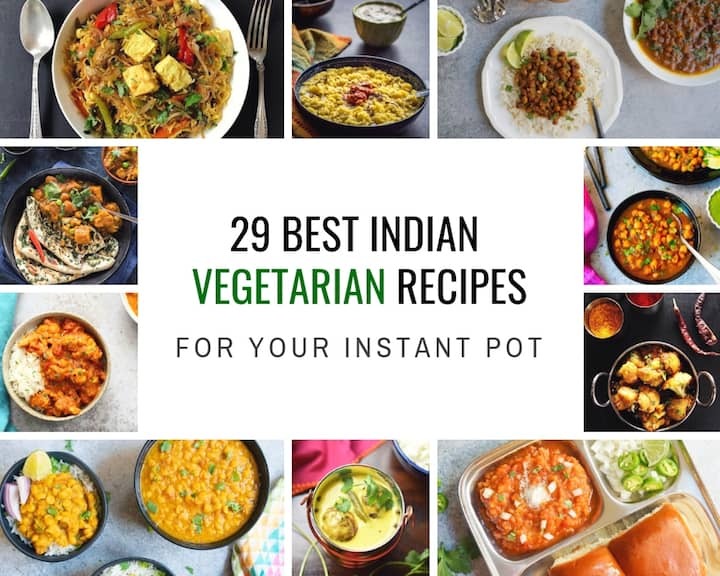 We hope you have found a recipe for your favourite Vegetarian Indian dish to make in the Instant Pot. Let us know which dish you’re most excited to make, and share this roundup with your friends! 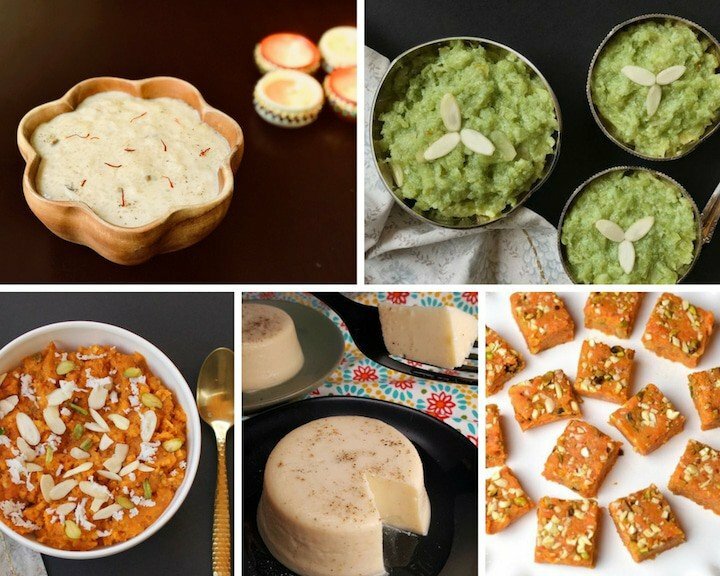 Don’t forget to check out our roundup of 10 Delicious Instant Pot Indian Dessert Recipes from the best blogs for Indian Instant Pot Cooking. Thanks for a great compilation. When I found that dum aloo recipe online, it became something I’ve made every week since then! I’d call it my favorite for now. But with your help in finding dozens more, who know which one will win! Making easy healthy vegan Indian food in my instant pots (yes, I have 2, lol) has really upped my cooking game and made me healthier. So thanks to Meeta, Piri, Archana, and all the other Indian Mommas who have blessed me by sharing great recipes to make! I am truly grateful.